Now that analysts and supposed experts have overdone talking and dissecting the chances of each contender, match-ups, hyped media frenzies and whatever else…I will simply let you know what you want to know. 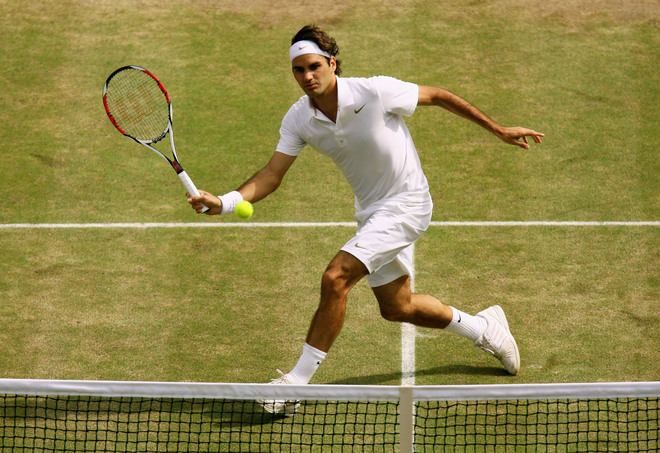 Roger has a good draw and with his unmatched maturity, experience, and intelligence, he is poised to make a deep run at Wimbledon this year. He will play for nothing but the final and to win that golden trophy he’s hoisted six times. Victory loves preparation. At 29, Roger will need to take better care, and rest as needed between matches. Dedication, motivation, and precision are what is required at this stage of his career. Federer boasts a 34-1 record against the top seeds of his quarter (Ferrer, Tsonga, Almagro, Youzhny, Dolgopolov, Garcia-Lopez). To win his seventh title he will need to get thru to the semifinals without expending much energy. From then on, he will need to do what only he can do; put on a stunning display of shot-making. Get ready and know where to go here on FedererFan07. You can go to the newly revised WatchLive page to watch all the matches live (free live streaming powered by FromSport). Also revised is Media, where you can access social media and more with ease.